Bitcoin has been the de-facto face of cryptocurrency and this is the reason that out of all cryptocurrencies, Bitcoin is the most talked about. However, this popularity of Bitcoins has also led many new investors to blindly invest in Bitcoins with the hope of becoming the next "Bitcoin Millionaire". The dream of becoming the next Bitcoin millionaire seemed logical to many because of the sharp price rise of Bitcoins especially during the last few months of the year 2017. However, the 2018 price trend of Bitcoins gave a shocker to many such investors. Many investors simply have the surface level understanding of cryptocurrencies. For them, it is just like shares and bonds. They fail to recognize that cryptocurrencies are not just new payment systems, but they are slowly finding more and more real-life significance. All cryptocurrency tokens are not created equally. Switzerland, one of the most popular launch bed of initial coin offerings, has made a distinction between crypto tokens. FINMA, which is the "Financial Market Supervisory Authority" of Switzerland, has categorized tokens into three broad categories (even though it admits that hybrid forms of these categories are also possible). Payment tokens: These are the crypto tokens which are mainly used as a payment medium and these do not have links to development projects. Asset Tokens: These are similar to equities and bonds as they are used for participation in physical assets and may be subject to interest and dividend payments. Utility Tokens: These tokens are used for providing access to different applications or services. Utility tokens are better for investment because they are designed to cater to day to day applications and hence they have better and long-term growth potential. Among crypto projects centered around utility tokens, such crypto projects which are quickly gaining popularity are worth tracking and investing. One of the latest crypto projects involving utility tokens is Transcendence. Transcendence is an open-source and decentralized blockchain project which has already got takers like Amicloud, CryptoMages, PeerToro, BitDorado etc. The cryptocurrency utilized by Transcendence is "TELOS" which can be bought from exchanges like Graviex.net, ESCODEX, and SouthXchange. Apart from investing in TELOS at an early stage, you can also earn TELOS coins by setting up a masternode. A masternode assists in verifying transactions taking place on the blockchain and for this work, the masternode owners get new coins from the cryptocurrency network. To set up a masternode, you need a certain number of coins to be used as a collateral and a VPS (Virtual Private Server) to host a copy of the blockchain node. The complete technical details of setting up a masternode for TELOS coin can be found from the masternode setup guide or on Transcendence Discord server: https://discord.gg/kabCydH where you can also participate in many bounties and earn big amounts of TELOS. 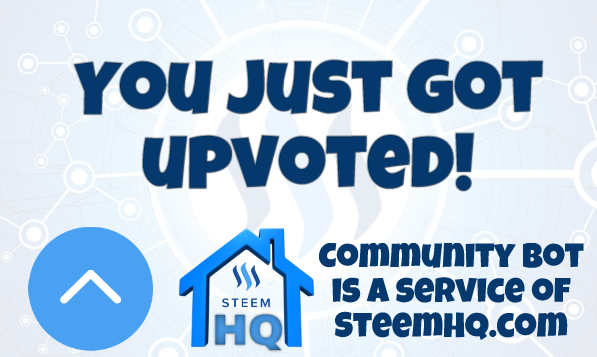 you just received a 14.49% upvote from @steemhq - Community Bot!